A shot of Tycho (to go with the other close up) and an exaggerated partial view of the ray system that surrounds this young formation (you can see the lines of ejecta material which form the rays moving away radially from the crater). This image was captured on the 28th December at 19:12:57 and comprised of a single capture of 2063 frames, of which only 236 were used in the stack. 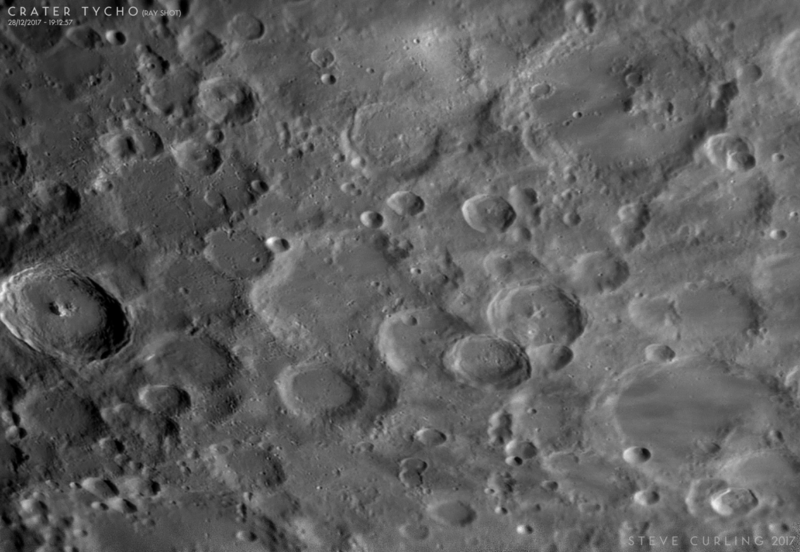 It was captured using a ZWO174mm camera (with a 642IRBP filter), and a televue x2 barlow). This was mounted on a Celestron Edge1100HD, in turn held on a Celestron CGEMDX mount. 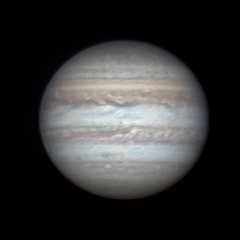 It was captured using OAcapture, stacked in Autostakkert2, Sharpened in Registax6 and finished in Photoshop.